There’s nothing quite like the freedom, independence and sense of discovery you get on a road trip, and there are few better places to load up and hit the highway than America. Whether you’re looking to get away in summer or at other times of year, here’s a collection of ideas based on the experiences of staff at RoadLoans and Santander Consumer USA, as well as trips researched by theme. For smooth travels there are also tips for what to take, what to eat, what to listen to and how to prepare your vehicle. Get perusing and start planning your next adventure. Exploring Bodega Bay and the charming towns and vineyards of Sonoma County, on the Californian coast. Experience is priceless. Here are the biggest mistakes Corey Neal learned to never (again) make on a long-distance road trip. From Denver, the Mile High City, across the Rocky Mountains to Vail, CO, is a majestic road trip that will take your breath away. Vacation week meant a 781-mile journey from Texas to an idyllic cabin halfway up Pike’s Peak, CO, and an exhilarating 19-mile drive to the very top. Getting there really is half the fun, as Mark Macesich rediscovered traveling through the Texas Panhandle, a corner of New Mexico and on to Victorian-era Durango, CO.
A detour from Durango across the Continental Divide to Colorado Springs led to rocky hiking trails, buffalo burgers and a vista full of hot air balloons. Leaving Dallas late on a Friday and arriving at Destin’s Another Broken Egg Café for breakfast the next day kicked off a vacation of sun, sand and surf. It was a last-minute trip to see far-away family, and some interesting stops were called for. They included a small southern town with a large historical impact on the Civil Rights Movement – Selma, AL. Picked up at Augusta, GA, a Chrysler Town and Country proved the perfect vehicle for a road trip into the Deep South. Getting from Augusta, GA, to Aiken, S.C., was easy, and opened the door to a town with an equestrian feel, charming shops and stylish restaurants. A road trip from Aiken to Charleston, S.C., via Orangeburg, is gorgeous, and makes you dream of moving to a secluded corner of the Deep South. The mission was completing a long journey home for a family reunion, with familiar sights, smells and tastes en route. A thriving country music scene, great dining, plenty of entertainment and beautiful mountains can be found in and around Branson, MO. LaQuenda Jackson and her son were not prepared for the beauty of North Carolina and the majestic mountains around Asheville – the perfect place for a summer camp. Thirty miles north of Oklahoma City and 234 miles from Dallas lie Guthrie, a quaint town and former capital of Oklahoma, and the nearby Cimarron River Canyon. For Andrew Berry, one U.S. road trip destination stands above all others. West Tennessee offers Reelfoot Lake, a must for nature lovers, the Memphis music scene, National Civil Rights Museum, Shiloh National Military Park and more. There’s no shortage of attractions in and around the Lone Star State capital, from water activities in Lake Austin, Lake Travis and the quieter swimming holes to an acclaimed restaurant and bar scene. Floating gently down the Guadalupe River has to be a state pastime in Texas, and it’s a great way to relax and cool off when summer temperatures start to climb. The Gulf-shore beaches of Galveston are a quick, affordable getaway for many Texan families, just five hours by road from the likes of Dallas in North Texas. Texas is a land where everything is known to be bigger, and that even extends to convenience stores. Enter Buc-ee’s, laying claim to being the world’s biggest, located off I-35 near New Braunfels. It’s what road trips are made of. Graduating from the University of North Carolina and starting work in Dallas, TX, led to a memorable 19-hour drive through multiple states, time zones and temperatures for Matt Holman, with a welcome break in New Orleans. Fort Worth to San Antonio is 249 miles, making a three-day family road trip, with a day spent at San Antonio’s Sea World, very doable. To kick off summer season travels, here’s a selection of U.S. road trips recommended by Lonely Planet. A little interstate cruise can prove to be therapeutic, not to mention a fascinating and fun way to explore this big ol’ country. From outdoorsy to bucket-list to weekend trips, take a look at these point-to-point road adventures recommended by experts at Kayak, USA Today, Skift, Outdoor Magazine and more. Check college spring break dates with this comprehensive list, and see top spring break destinations around the U.S.
From East Coast to West Coast, we’ve compiled some of the best beachy and city-focused spring getaways. Vegas, Miami, Daytona Beach … the list goes on and the bright lights await you. For many, whether they’re of school age, in their college years or a parent, spring break is synonymous with memory-making road trips. Some of America’s very best road trips are to and through national parks, like Acadia in Maine, Big Bend in Texas and the Everglades in Florida. Find out what to see and do, and what’s nearby. From hiking trails through thick forest to stargazing in the desert, these breaks to some of America’s finest parks and protected areas will feel a world away from home, yet are surprisingly accessible from a handful of major cities. Get inspiration from some of the most popular road trips posted on the internet, and details of what makes them special. Why not turn Valentine’s Day into a weekend excursion? These scenic suggestions will help you plan it. Chevrolet and data scientist Randy Olsen teamed up to create what they believe to be the optimal routes for road trippers, with an epic, start-anywhere 13,000-mile guide and various regional trips. Putting together their ideal road trip for the Northeast, Chevrolet and Olsen left out some sights we think are definitely worth a detour. Here are Josh Myatt’s recommendations. In such a big state with so much to see it’s hard to fit everything into a road trip, but here are three destinations not to be missed within the magic triangle of Dallas, San Antonio and Houston. No one wants to arrive on campus after the annual road trip only to realize they left an essential sitting on the nightstand. Read this infographic before you go. If you’re road tripping with a pet for company, these tips on what to pack and how to handle the journey will smooth the way. Traveling to a rival school for a sports game is a decades-old tradition, and packing the right stuff should be part of it if you want to make the most of the experience. Food is a way to embrace the experience of travel, and Sonny Bynum’s recipe for a tasty road trip includes old faithfuls, new classics and local flavor. Check out AAA-inspector restaurant recommendations that are definitely worth a stop. Our melting pot of tunes, like all good mixes, features a wide variety. Browse the selection and hear our summer road trip playlist on Spotify. Summer is here. Is your vehicle ready? Beware of potential frustration on the road. 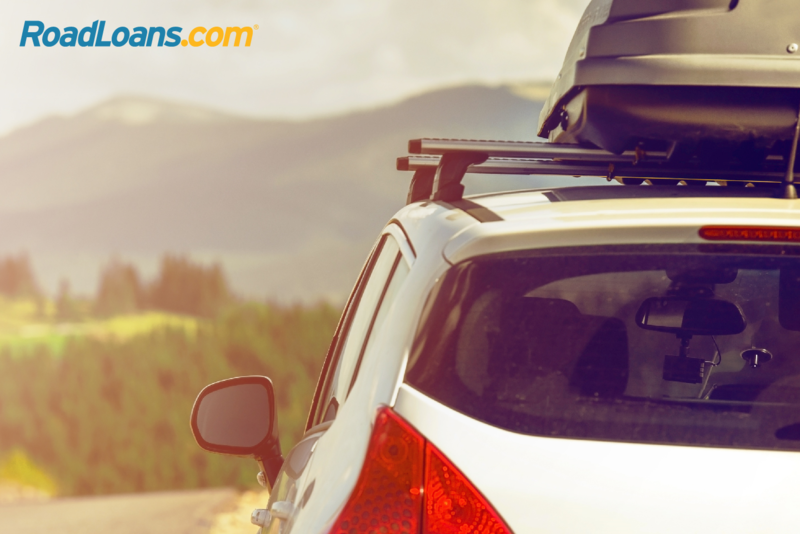 Prepare for happy travels with these nine summer car-care tips. It’s good to be prepared for anything that comes your way on the road. An emergency kit, and some safety steps, may prevent your road trip turning flat. See a dozen great ways to prepare for a holiday season automobile adventure in this infographic, from thinking like a Boy Scout to keeping the kids busy. Driving in the winter can be scenic, but also dangerous. Travel safely with these tips for vehicle preparation, what to bring, driving in snow and more. Don’t be one of millions of motorists stranded on the roadside when you should be vacationing instead.